Augmented Reality in the Classroom - Lessons Learned - Ariella Lehrer, Ph.D. Many companies with glitzy AR apps have come and gone; many educational use cases have been tried and discarded. 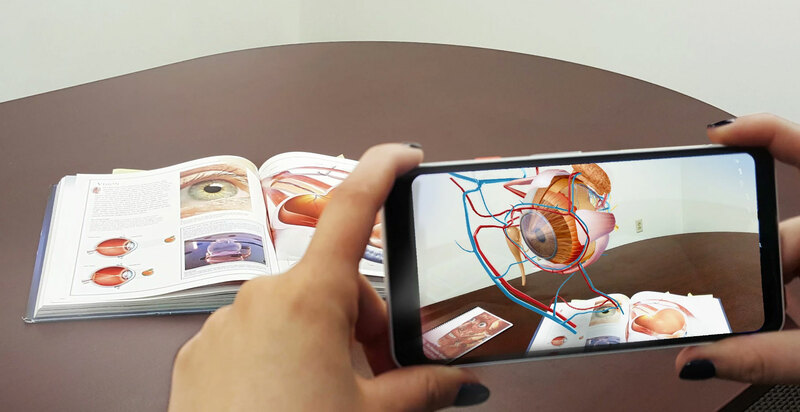 Is Augmented Reality just the latest in an endless stream of educational technologies that don’t add up to more learning? Maybe. Beautifully rendered virtual images of the periodic table and human anatomy or spinning globes have failed to become standard features of the school curriculum. Volumes have been written about why, but it comes down to cost, convenience, and ROI. Educational AR apps tend to be difficult and costly to create and must compete with traditional “supplemental” school teaching aids. Students generally have to look through an expensive smartphone to see the virtual graphics and animations, making the interface awkward. While the initial experience engenders surprise and delight, there is little need, or desire, to repeat the experience. It’s also not clear how seeing a dinosaur “come to life” from the page of a textbook actually increases learning. If you look at the history of educational technology, the technologies that ultimately earn a place in classrooms are used as tools first, rather than to directly deliver curriculum content. 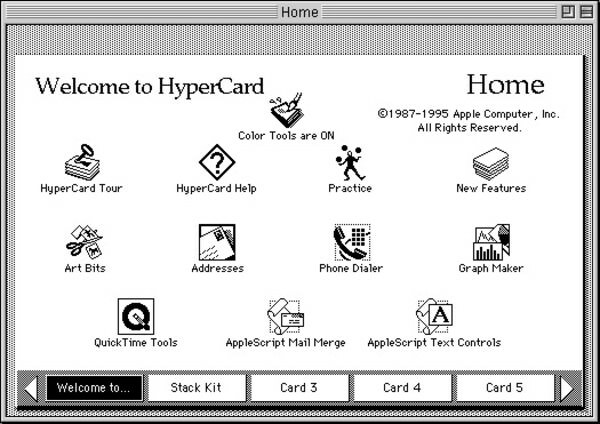 Consider Apple’s Hypercard, introduced in the late 1980s. Teachers loved it and similar products because they were easy to integrate into any subject matter. They turned kids into active creators rather than simply consumers of content. Plus they exposed children to more “real world” uses of technology, better preparing them for future jobs. Tools like Hypercard did more than anything else to ensure a permanent place in classrooms for computers. The first interactive product I ever produced was Children’s Writing and Publishing Center, published by The Learning Company. It allowed kids and teachers to easily create newsletters, brochures, etc., similar to PrintShop but specifically geared to educators. It was a huge hit. My next product was another language arts tool, Mickey’s Crossword Puzzle Maker. Using Disney characters, kids could create and print out their own picture-word crossword puzzles. It was already clear, back in the 1990’s, that open-ended, tool based learning was the best way to insinuate technology into schools. There are, of course, many tools designed to help educators create Augmented Reality content and experiences. The more popular AR authoring tools that don’t require programming are Zappar, Blippar, HP Reveal, and Metaverse. But even the simplest of these AR creation tools are made more difficult because they require the ability to make, access, and manipulate 3D graphics. (That’s the virtual part!) There is simply not a great option for K-12 schools, i.e., one that is easy enough to be used by teachers and students but sufficiently sophisticated to support mixed reality experiences that go beyond simple target based 3D pop-ups. My sense is that the path that Google has chosen to win teacher acceptance for its AR/VR technologies will turn out to be the most productive. Google Expeditions is a great start, but students are still consumers of content, not creators. 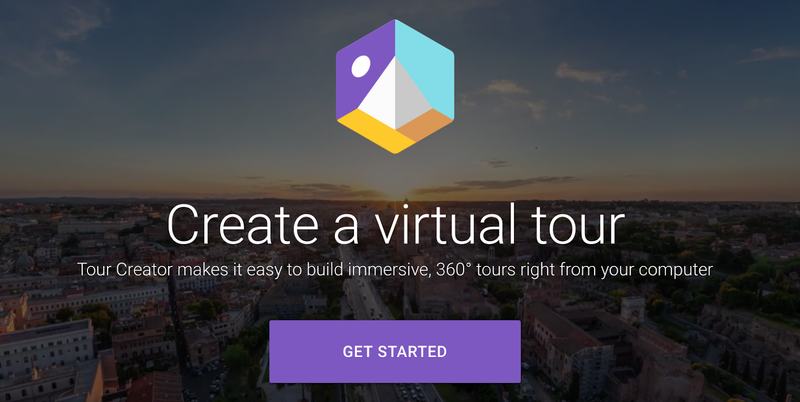 However, with Tour Creator, Google’s latest AR/VR product for schools, students grab scenes from Google Street View, and compile them into a Powerpoint-like presentation with text and voice. Neatly solving the dilemma of where to get and how to manipulate 3D assets, Google’s Poly and Street View provide 3D graphics and 360 video for most locations. Soon, Google says, students will be able to view their tours created with Tour Creator in their Expeditions app and on new Chromebooks that now include ARCore, Google’s AR platform. Add a story creator capability to Tour Creator, so students can add more and different kinds of assets and content to their tour? Create open-ended AR tools that are designed for specific subject areas, like chemistry or physics? Augmented reality could be used to highlight the reaction when you mix together chemicals to form a solution. Design AR tools for real-time remote communication? Businesses are rapidly implementing AR to train workers on the repair of complex equipment. Why not use AR similarly to help students building projects in Maker Labs? Develop an AR game creator with a variety of templates that can be customized or a quiz generator that uses object recognition to teach foreign languages? We’re at the Hypercard inflection point with Augmented Reality. Now we just need the right tools to convince teachers that this is an educational technology worth having. This entry was posted in Ariella's Blog Posts on August 20, 2018 by Ario.